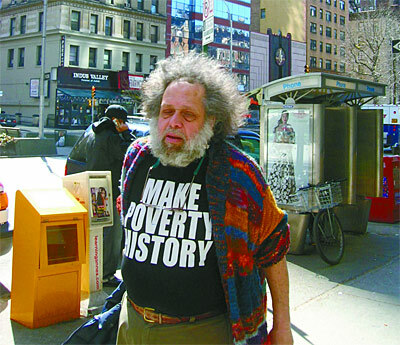 In honor of Marshall Berman’s recent passing, a thought about his t-shirt. Although its ostensible purpose is to end poverty (or call for the end of poverty), its statement about history is just as important. For it shows the power of relegating things, people, ideas to ‘history,’ thus putting pressure on the assumed progressiveness of ‘including’ people in history.